In India, there is a Hindi saying that goes something like this: Lentils and beans are our spines, but vegetables make up our bodies. 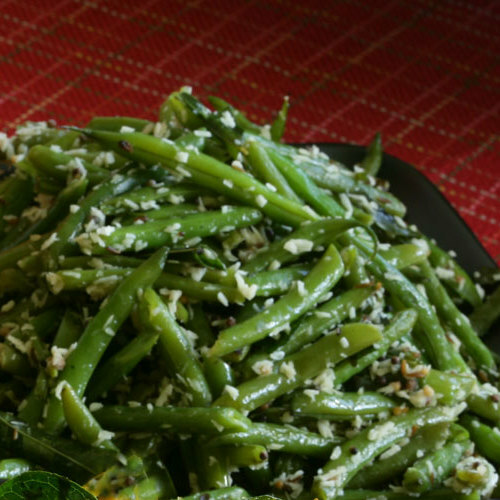 No matter what the occasion, we always have a few vegetable dishes, called sabzis, on the table. Here in America, I serve a lot of these dishes at my restaurant, and they’re usually the foundation of the meals I cook for friends at home. Because they’re so nourishing and warming, I think of them as Indian comfort food. They may be a little spicier or have one or two more exotic ingredients than the vegetable side dishes you’re used to, but they’re just as versatile and nutritious, and they’re loaded with flavor. Seasoning with salt at the end of the cooking process may seem unconventional, but it actually works better in these stir-fries. 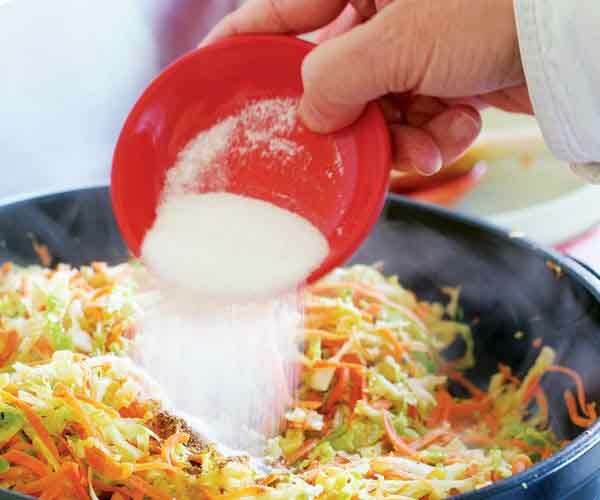 Salt encourages vegetables to break down and release water, and that is not the goal in these dishes. Slower and spicier than a Chinese stir-fry. 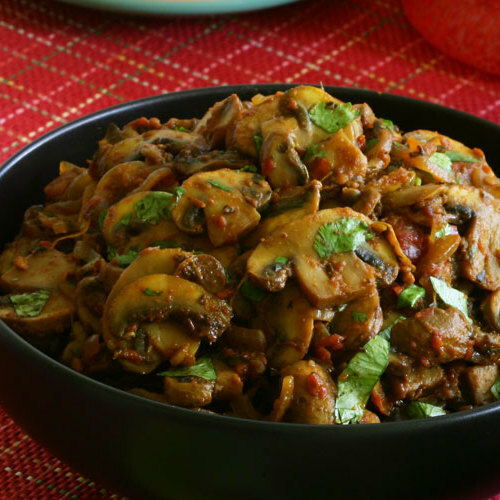 I refer to sabzis as Indian stir-fries because, like Chinese stir-fries, they’re easy to prepare, with all of the vegetables cooked in one pan. 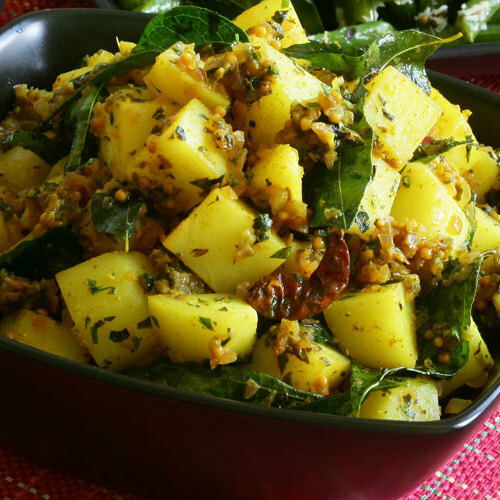 But unlike Chinese stir-fries, which rely on flash cooking and added sauces and thickeners, Indian sabzis employ more spices and aromatics and a slower cooking method to develop deep flavor and tender texture. 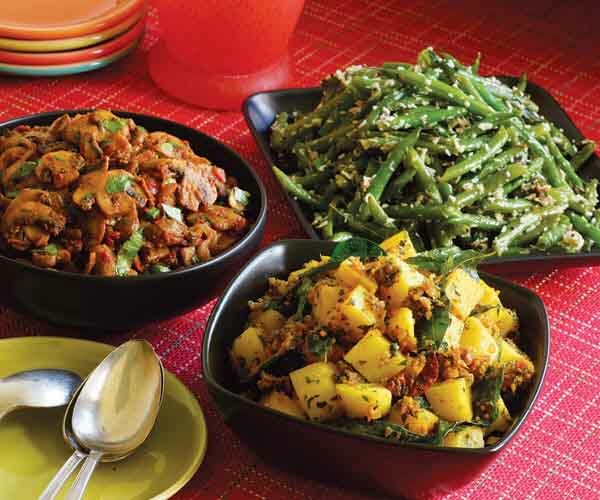 You can learn the basic steps for creating an Indian stir-fry by making any of the recipes on these pages. Then you can improvise your own dishes with my lists of suggested spices and vegetables, and by following the general method below. 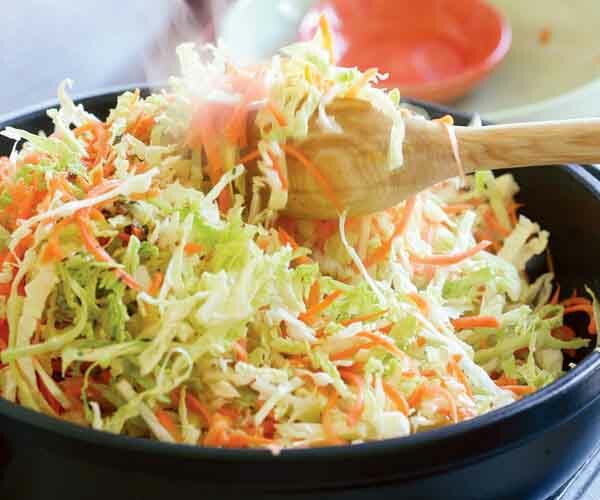 A wide, sloped pan is great for this kind of cooking. 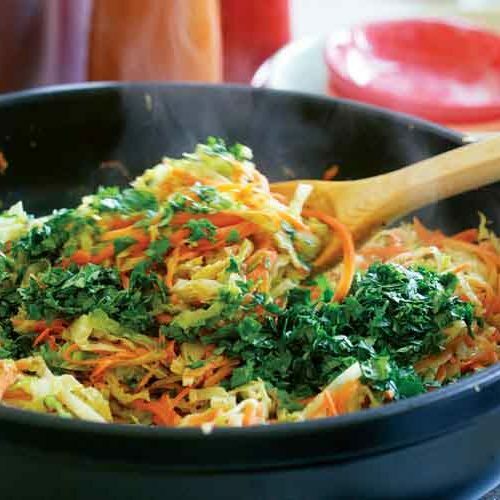 In India, we use a wok-like vessel called a kadai to cook these vegetables, but any pan with a generous girth (12 inch diameter is good) and rounded sides works well. You could use a large skillet or wok, a Dutch oven, or a brazier. 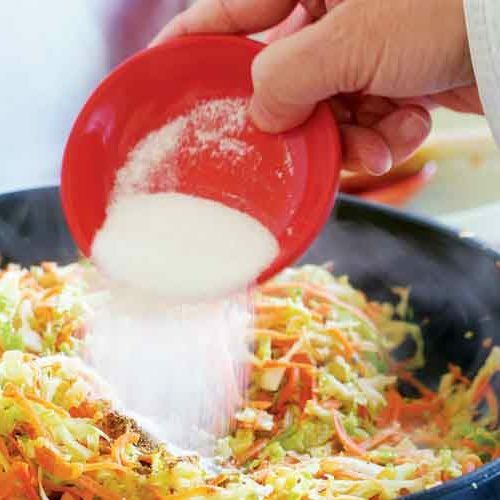 The width is important because you want the liquids released from the vegetables to reduce quickly, and the rounded sides make stirring easier. 1. 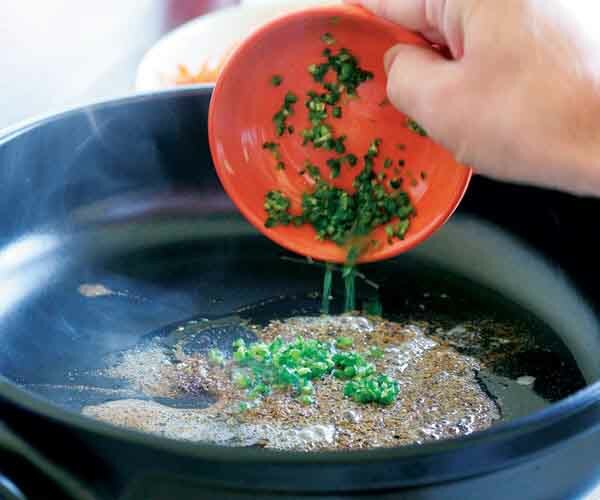 Start by heating any long-cooking spices with oil in a wide, shallow pan over medium-high heat. When they’re fragrant and sizzling, after just 2 to 3 minutes, add any short-cooking spices. Give them a minute or two to get fragrant and sizzle. Then add any delicate aromatics (garlic, ginger, etc.) and cook, stirring vigorously so nothing burns, again just until fragrant, no more than a minute. 3. 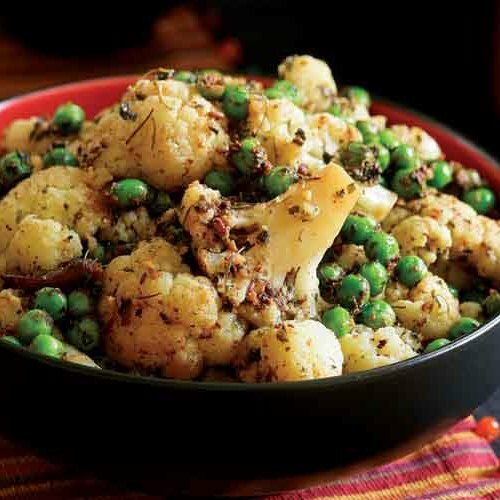 When the vegetables are tender, stir in the delicate finishing spices like cayenne or garam masala. These can turn bitter if heated too long, so cook for just 1 minute and then remove from the heat. This is also when you season with salt and perhaps a little sugar to balance the flavors. 4. 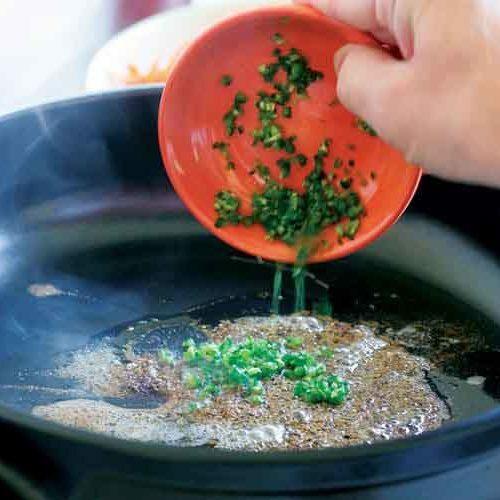 For an extra layer of fresh flavor, stir in fresh herbs like cilantro or mint, and squeeze lemon or lime juice on top. If you like, you can serve the dish with extra lemon or lime wedges or some reserved chopped fresh cilantro on the side. Pick from the lists of vegetables and spices here, and then follow the general method shown in the photos above to bring the dish together. VEGETABLES: For these dishes, I like to classify vegetables by cooking time. 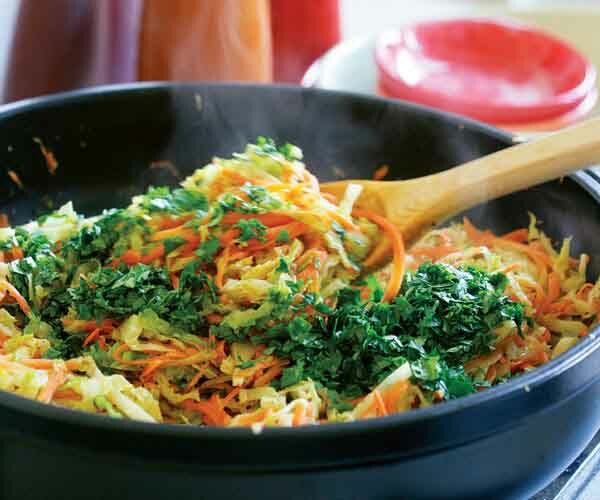 You can include both shorter- and longer-cooking vegetables in your stir-fry; simply add the longer-cooking ones to the pan first to give them a headstart. 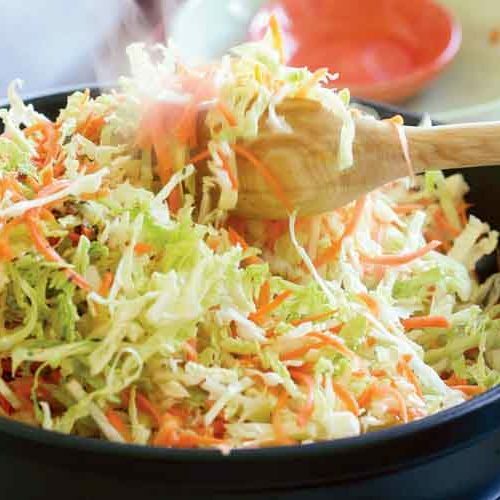 Unless otherwise noted, you should chop, slice, or dice the vegetable into bite-size pieces. *Add tomatoes with the longer-cooking vegetables for a jammy, saucy consistency or with the shorter-cooking vegetables to retain more body and texture. SPICES & AROMATICS: Here’s where you give your stir-fry its personality. As with the vegetables, I add these to the pan in stages, depending on how much heat they need to open up their flavors.